Four years ago I took the travel leap with very little money in my bank account relying mostly on a work exchange arrangement in Germany to make my way. As my initial 6 week journey expanded and grew, I began to discover new and useful resources that make it possible to continue to travel on a modest budget. The point here is simple. If you want to travel, internationally or even within your own country or continent, it is truly possible. Money doesn’t have to be the thing the keeps you saddled at home. Here are some viable travel resources that can help set free your travel dreams and make them a reality. This is my favorite travel resource and the one I have relied on most heavily in my travels. The concept here is simple: connecting hosts offering room and board in exchange for work with travelers. For a modest yearly subscription (20 Euros, about $24 USD, for 2 years) you literally get access to the world. The membership gives you access to hundreds of hosts supplying detailed information and photos about their exchange opportunity. There is also a rating system allowing travelers to rate and offer input about hosts they have visited. This is very helpful and increases your confidence about a decision to stay with a host. There are even family friendly destinations so you can pack up the kids and go! I have written in more detail about helpx on an earlier post, Travel the World with Helpx. This site is similar to helpx, offering work opportunities in exchange for room and board. I have found many listings are the same on Workaway and Helpx… however there are still some differences and distinctions. You can check out the listings for free. If you find an opportunity that is calling you, membership and access to contact information is just 23 Euros (about $25 USD) for a two-year subscription. Servas International is an international, non-profit encompassing an international network of hosts and travelers. They are founded on the premise that hospitality and cultural interaction are the essential tools for achieving conditions for people to live in peace and unity. Members around the world offer homestay opportunities to member travelers. If you’d like to learn more visit servas.org. I am not an expert couchsurfer, but I am glad the option exists. If you are not familiar with couchsurfing, it is similar in its mission of servas seeking to build connections and foster understanding across cultures. Many members offer a “free couch” or bed for a few nights. Profiles are quite descriptive and there is again the opportunity for feedback from other members allowing you to travel and make plans with greater confidence. I look to couchsurfing when I want to take a quick getaway, perhaps for just a few nights, and would like to stay with someone local and also keep my budget low. It is definitely an option to consider when navigating the globe, or just looking for some new scenery for a few days. Have you considered house sitting? I have… and while I don’t have much experience with it on the international scene, I just became a member at trustedhousesitters.com. This is the largest site on the web and the fastest growing with the best functionality. With a New Years deal, I received an annual membership for about 60 Euros ($70 USD). I imagine this site, much like other online opportunities, begins with a well completed profile. They provide the opportunity to file a police check as well as external personal and professional references. It might be the ticket to your next international adventure. Whether you are seeking to change your life and travel full-time or simply for a way to temporarily launch beyond the boundaries of your current location, these are some great ways to do so. 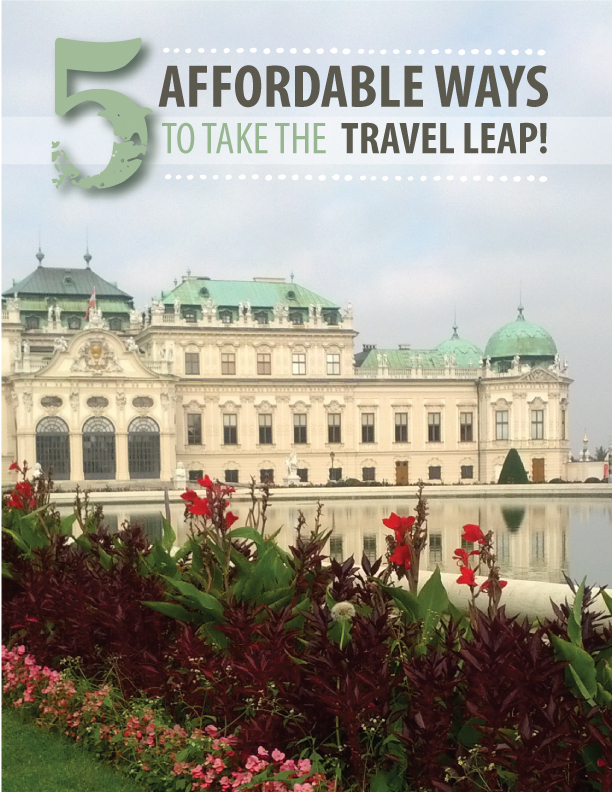 With some common sense, a bit of preparation, and attention to details — these are all safe, viable and accessible ways to take the travel leap. Why not check them out? And if hitting the road (or the airways) is not your destiny at the moment, remember with many of these organizations you can also be a host. Helpx and Workaway may be a great way to get that gardening project underway or whatever it is you have been putting off around the house… and be of service to a traveler and bring a little international flavor into your life. Do you have any travel plans on the horizon? Or experience to share with any of these organizations? It’s always great to hear from you!